Glory, hallelujah, and praise be to God! It seems like it has taken forever to get to this point, and the backstory is moot by now, but we finally had our finalization hearing today. 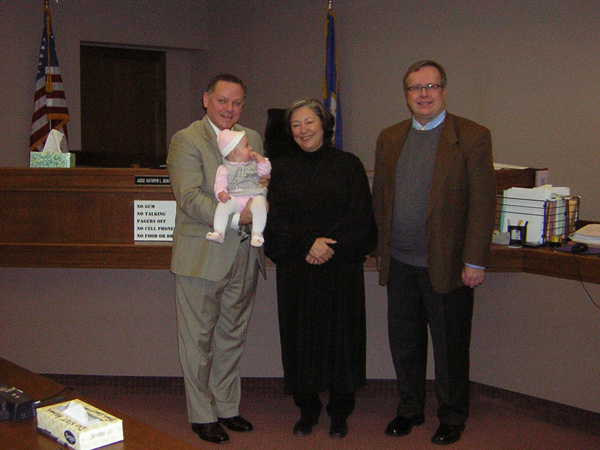 Juliette was officially ours as of about 10:00 am this morning – and as one friend said, we are now hers, too. Judge Quaintance is so very, very nice – you shouldn’t be nervous if you have to appear before her, she makes the process easy. It was all over almost as soon as it began, and then were were a few moments for pictures. Don’t you love the way Juliette is checking out the judge?